Two young heavyweights from the LA Skate / Art / Punk underworld, No Age are comprised of Dean Spunt and Randy Randall. Formed from the ashes of the fondly remembered Wives, No Age purvey a stripped, essential, life-affirming skewed take on pop delivered via a clearly defined punk rock aesthetic, taking in noise, energy and melody in equal measure. Reminiscent at various junctures of the likes of early Black Dice, The Ramones, and/or My Bloody Valentine, 'Weirdo Rippers' documents a fast developing band hitting their stride. Harnessing an explosive dynamic tension, No Age's music is prone to switch from syncopated punk-rock squalls to melodic, transient flashes of colour, or conversely, a pop song might spontaneously cut through the noise. On some basic, fundamental level, No Age simply don't behave quite how you expect them to - they are their own band, full of their own conviction, and following their own trajectory. The band have continued Wives' tradition of incendiary live shows, playing as frequently as possible, expounding a visceral energy on an equal footing with their recorded output, via guitar, drums, vocals and a minimal amount of effects. No Age's music is deceptively simple in it's construction, yet thoroughly compelling. 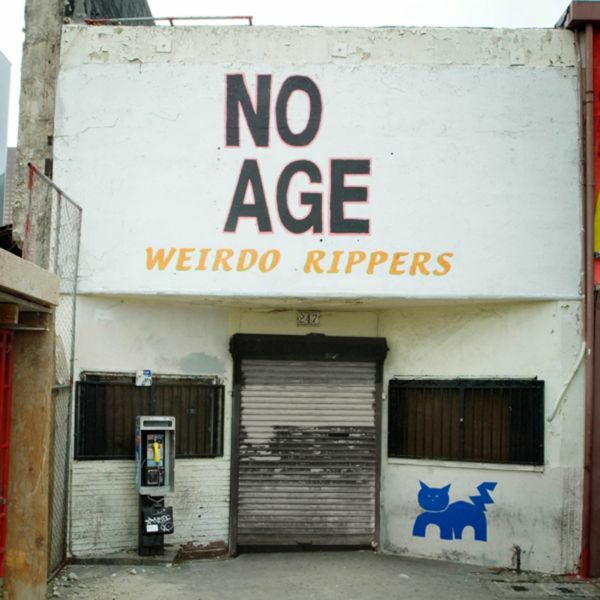 No Age played their first proper show at The Smell, LA, in April 2006, where both Randy and Dean are also involved in a curatorial, social, and artistic sense. The Smell is an all ages space dedicated to underground music and art. Citing The Smell as seminal and inspirational to many, and at least partially responsible for the existence of both their bands to date, it's a mutually supportive grass roots space reflecting No Age's DIY ethic. It is this building that features on the front cover of their debut album for FatCat, 'Weirdo Rippers'. The band also make video, performance and visual art under the name No Age and by themselves, and curated the 'Get Hurt' exhibition in LA, featuring works by Devendra Banhart, Rich Jacobs, Ron Rege Jr., Matthew Thurber, Susan CianCiolo, and Ashley Macomber to name a few. After 'Weirdo Rippers' was released, No Age signed to Sub Pop, and have since released second album 'Nouns' in 2008. They have extensively toured with Liars and were billed on the Shred Yr Face Tour in the UK, alongside Los Campesinos! and Times New Viking. They released Everything In Between in 2011.